MUST LISTEN TO … Dan Bongino walks us through the story step by step. 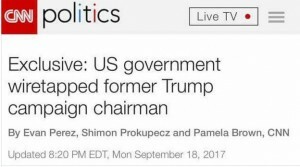 This might just be the best explanation of what took place … Don’t ever forget the main premise, The Obama team spied on the Trump team. 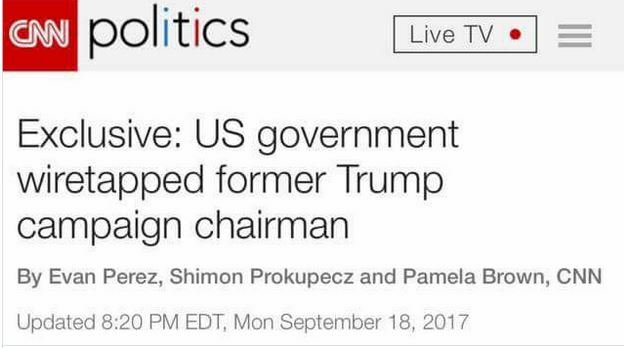 The spying on the Trump team was a set up the entire time from the beginning. Bongino provides the why, how and motivations of why Obama spied on Trump. Fantastic analysis!!! The Community agitator is back … Just when you thought you were save from the eight nightmare, divisive years of Barack Obama, he’s back. As reported at Fox News, the former President Barack Obama resurfaced on Friday and took a shot at Fox News viewers, saying they’re “living on a different planet” than people who consume mainstream media. One can look at this two ways, one; how Obama intended his negative and derisive words and two; thank God we care to be more enlightened and not sheeple listening to the bias, fake news liberal-Democrat media complex. So the former “Divider in Chief” Obama now does not insult Fox News, but its viewers? REALLY? Heaven forbid anyone have a differing opinion than the LEFT. In the case of Fox News, actually care enough to actually do some investigative journalism into what really went on during the Barack Obama/Hillary Clinton years? Add John Solomon at The Hill in as well and Sara Carter. Imagine what would have happened to your presidency had the liberal MSM done their job and investigated your Russian collusion with the Uranium One deal, Hillary Clinton’s private email servers and national security issues, illegal use of the NSA to spy on your enemies, the weaponize of the IRS against Obama enemies and the phony Steele dossiers used for FISA warrants, etc. Hey Obama, who is it that is living in a fantasy world? It’s time to get off the unicorn. As we have learned, the president who claimed he was going to have the most transparent president, was hardly that. Former President Barack Obama resurfaced on Friday and took a shot at Fox News viewers, saying they’re “living on a different planet” than people who consume mainstream media. Obama made the remarks on the premiere of the new monthly Netflix series “My next guest needs no introduction with David Letterman,” which hit the streaming service on Friday morning. Early in the episode, Obama asked Letterman about his retirement but the veteran talk show host quickly let the former president know who was boss. “Now here’s how this is gonna work. I’m gonna ask you stuff, and then you respond to stuff,” Letterman joked. Letterman then asked Obama what he considers the more dangerous threat to a democracy, the president demeaning the press or a foreign power sabotaging the voting process. Both options are clearly jabs at President Trump and Obama answered without mentioning the current president’s name. WHAT’S THE MATTER BARACK, IS THE INVESTIGATION INTO RUSSIAN COLLUSION, THE IRAN NUCLEAR DEAL, ILLEGAL FISA WARRANTS, SPYING ON AMERICANS GETTING TOO CLOSE? Barack Obama enjoyed the pleasure of 95% of the media covering for him, rather than doing their job and being a watch guard against government for the American people. Now Obama would actually attack the very few who dared to not stick their heads in the sane and blindly follow and protect him.